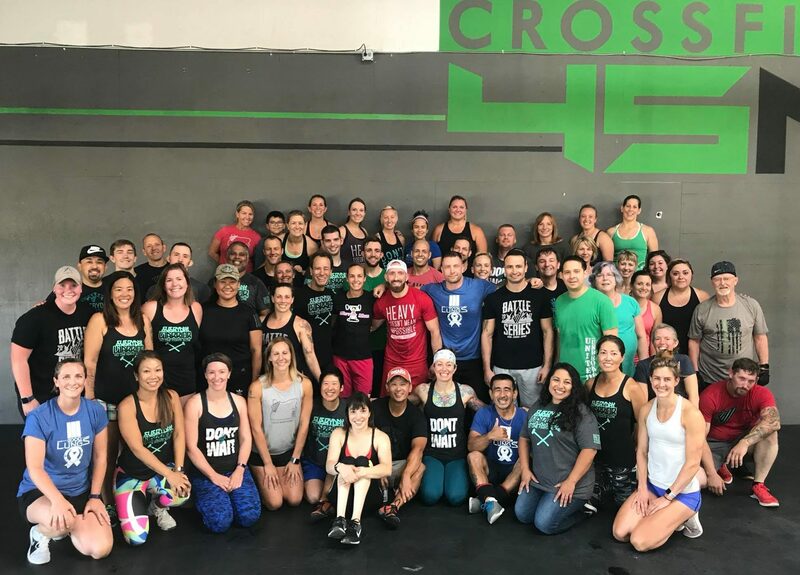 September is a mear 3 days away but you have not yet heard about all the great things that have been happening at CrossFit 45 North this last month! We have so much going on that I don’t want anyone to miss out. We have had some pretty amazing moments since our last newsletter. 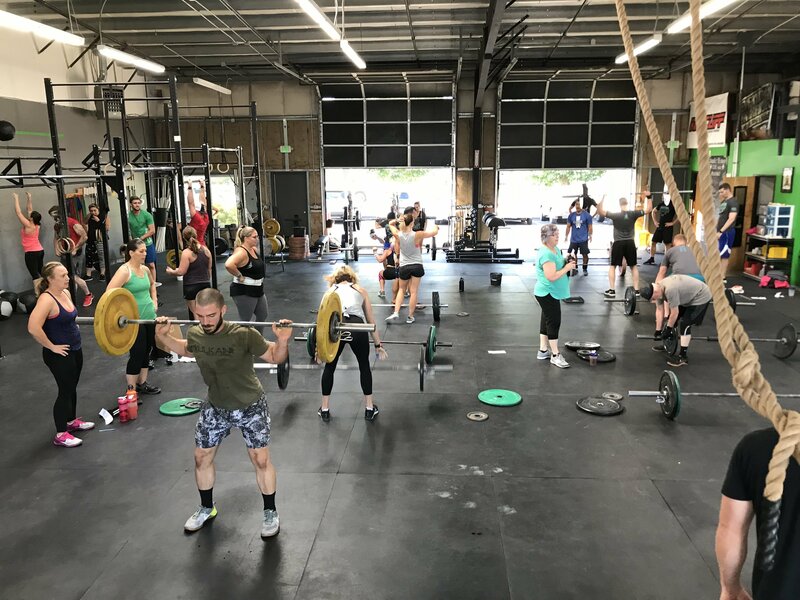 These moments have really drilled in the reason CrossFit is so near and dear to my heart. Anyone who has been in a CrossFit community knows the feeling I have and am speaking to. 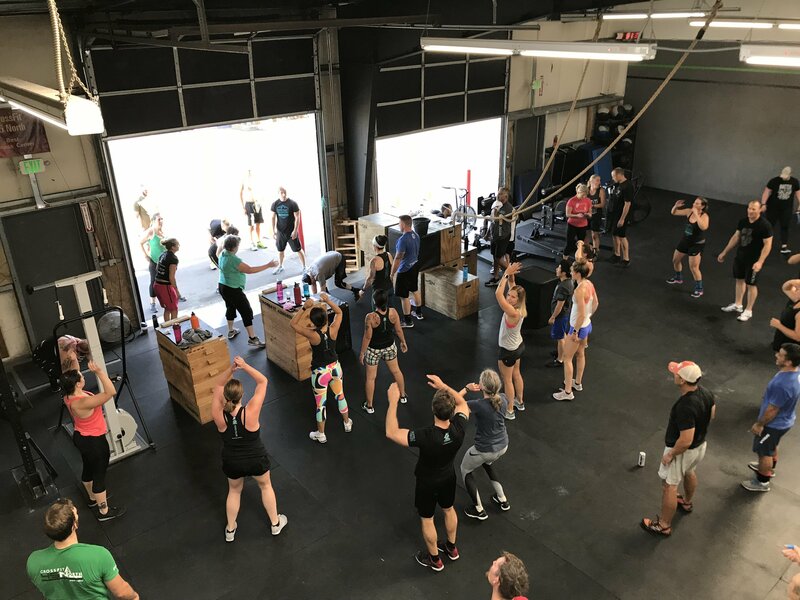 CrossFit is all about community and community is what keeps us coming back day after day, month after month and for all of the love we have for each other. We use our community for the ups and downs in life. Together, we celebrate the good, workout the not so good and mourn our losses. We praise each other when we get a PR and we encourage each other to keep trying when we fall just a bit short, because we know we all have it in us! In early August, our very own Stephen Berry needed our community support and our community brought it. In 2012, Stephen was diagnosed with inoperable stage III non-small-lung cancer that had already metastasized to his throat. 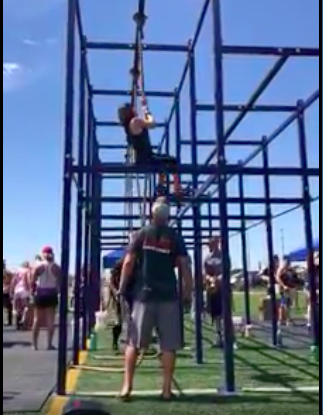 This guy has been a superhero within the CrossFit Community. So much so, he was the Inaugural Featured Athlete in the Non-Profit we have all come to know and love as, EVERYDAY WARRIOR. 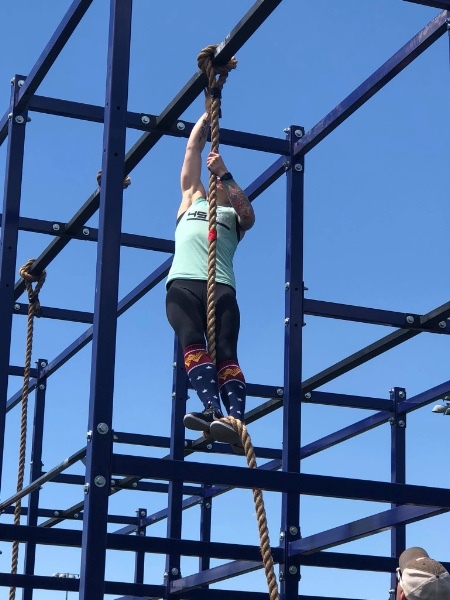 Read his story by clicking on EVERYDAY WARRIOR and learn what this Non-Profit Organization has done for Stephen and so many others within the United States CrossFit World. 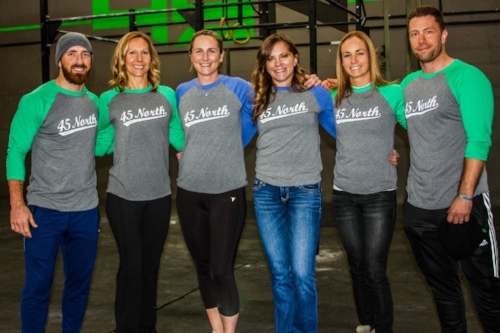 So when our CrossFit community heard about Stephen needing some much needed support, it didn’t take long to set up. 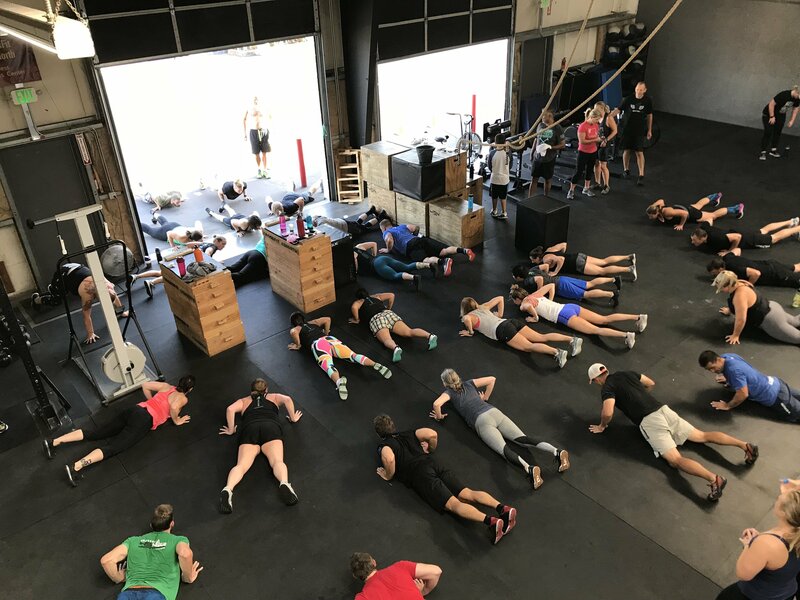 On August 18th, CrossFit 45 North hosted a workout and invited the CrossFit community in the surrounding area to join us. The outpouring of support was incredible! We had boxes from Orlando, Florida to Medford, Oregon to Hillsboro, Oregon joining together to support. The pictures below will show you what words cannot describe. Support Stephen and Everyday Warrior by purchasing his featured shirt – “Better Than I Deserve” Shirt. This impromptu event was so awesome to be a part of and it shows the strength of community as a whole. That is not all that has been happening within our four walls! 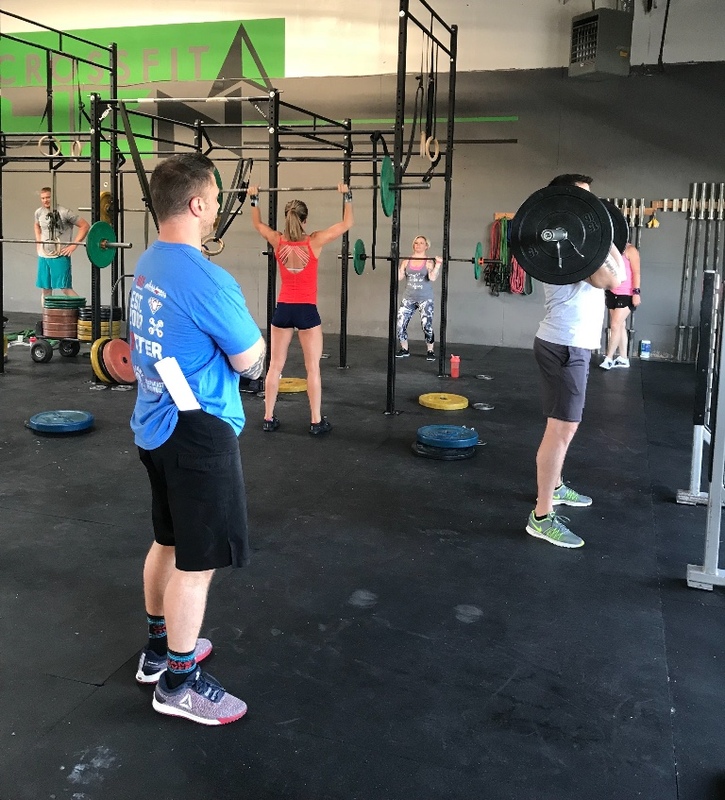 Our Seminars have continued through the summer and continue to help guide all of us with our particular lifts and our abilities to lift better and easier! 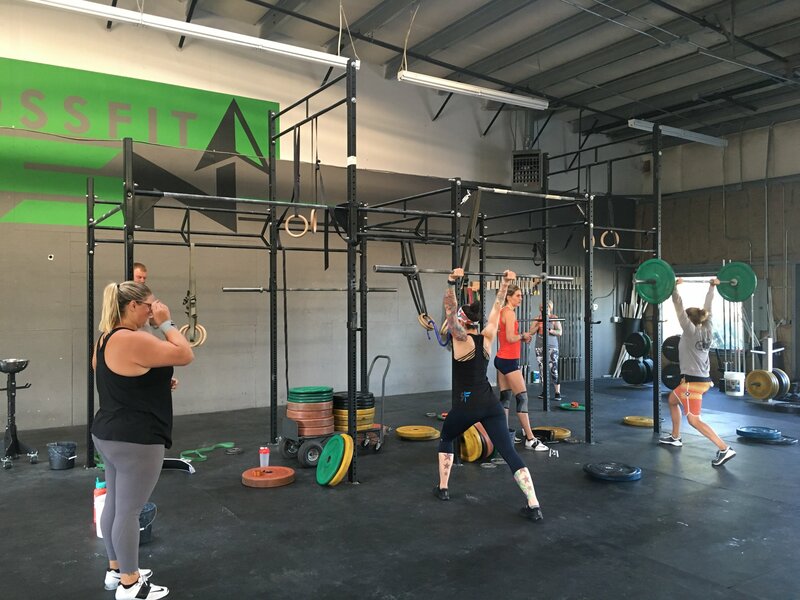 In July, Coach Greg took over the gym to introduce different ques and techniques to help us lift weight from our Shoulders to OverHead. In August, Coach Christine helped people move and groove much easier with her Mobility Clinic. Mobility helps us in all of our lifts along with our workout recovery. 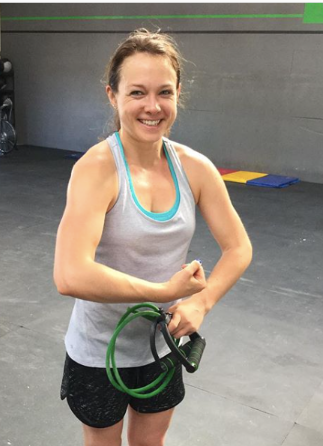 Christine is also an avid supporter of RomWod, which can be done at home or at the box, to help you be able to move easier in the gym and in your everyday world. 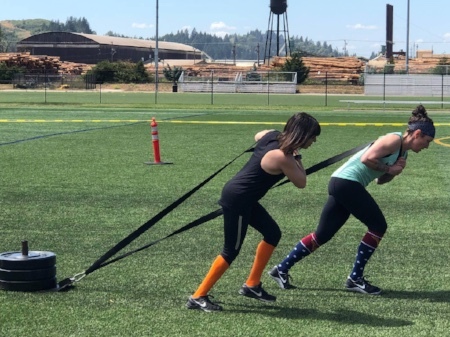 We have a few more of these clinics in the pipeline for September and October, so please be sure to check them out under the upcoming events column just below. 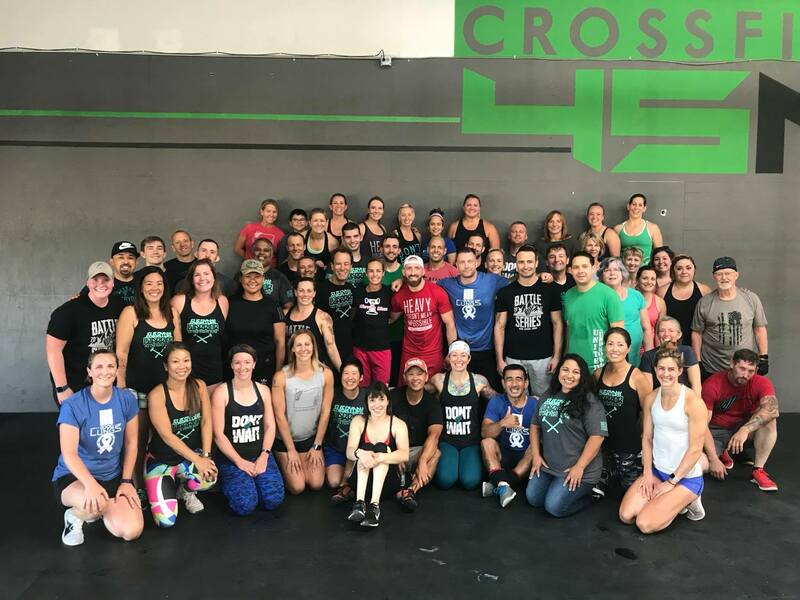 Thank you for making this summer an amazing summer and for living up to what the CrossFit Community is all about. We cannot wait to see what the fall has in store for all of us! Welcome to our newest member: Kai Clark, it is so great to have you as a part of the 45 North Community! Welcome back to our returning members: Hope Whitman, Morgan Schmidt, and Richard Dixon. We love having you back!! 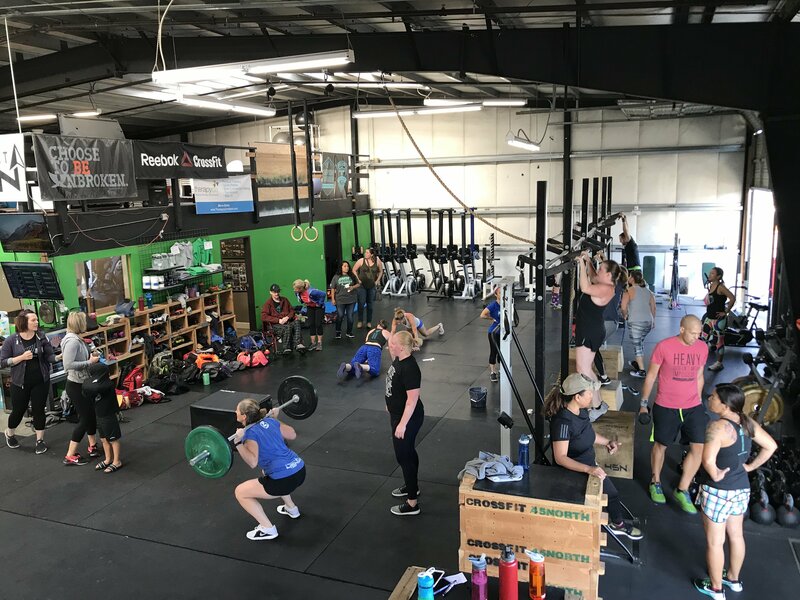 who is interested in CrossFit or just getting into better shape? 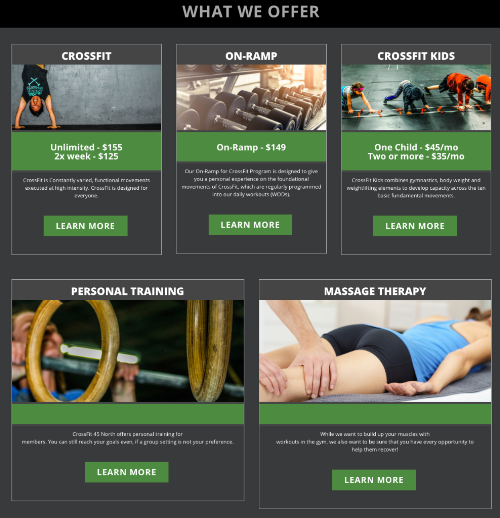 We offer something for everyone as well as body recovery! Word of mouth is the best way to get people into our box and you all live by how great this community is!! Lets get these individuals through the doors. With guidance and the support of the community, they will reach their goals and begin feeling a change they will love. 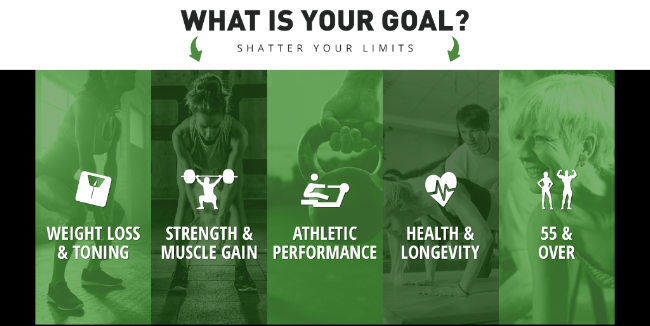 what we have to offer!! 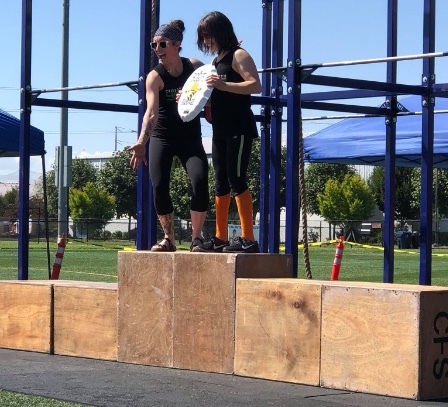 Way to go Emery Collins and Kate Dillon for competing in the BRUTAL heat at the Rogue Rampage on August 4th. You both did amazing and we are so proud of you!! Are you traveling this fall and don’t want to miss a workout? No equipment necessary! Click on the picture or link below to get to the link. We have an awesome massage therapist, Sarah Gliddan, to help you keep moving day after day! 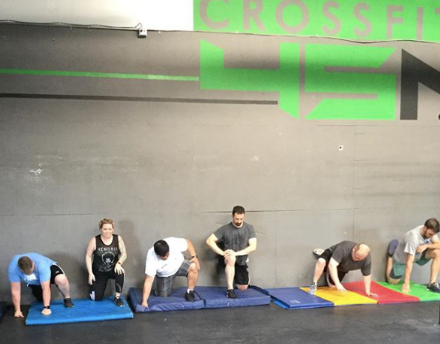 Her massage room is located at CrossFit 45 North so it is easy to take advantage of what Sarah has to offer! You can call or text (541-521-3664) to set up an appointment. She offers 15, 30, 60 and 90 minute massages, also open to special requests. Preheat oven to 350º. Line a large, rimmed baking sheet with parchment paper and coat with cooking spray. 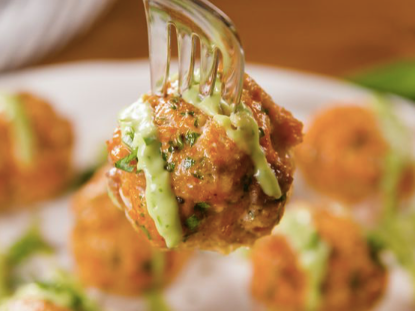 Make salmon meatballs: In the bowl of a food processor, add salmon. Process until finely chopped, then transfer to a large bowl. Add Panko, chili powder, parsley, garlic, and egg and season generously with salt and pepper. Stir to combine, then form into tablespoon-sized meatballs. Place onto baking sheet. Bake until meatballs are slightly golden and cooked through, 15-17 minutes. Meanwhile, make avocado crema: In a food processor, add avocado, lime juice, yogurt, basil, and parsley. Season with salt and pepper, then process until smooth. If the sauce is too thick, thin it out with water.